Words from the heart, and sometimes the brain. 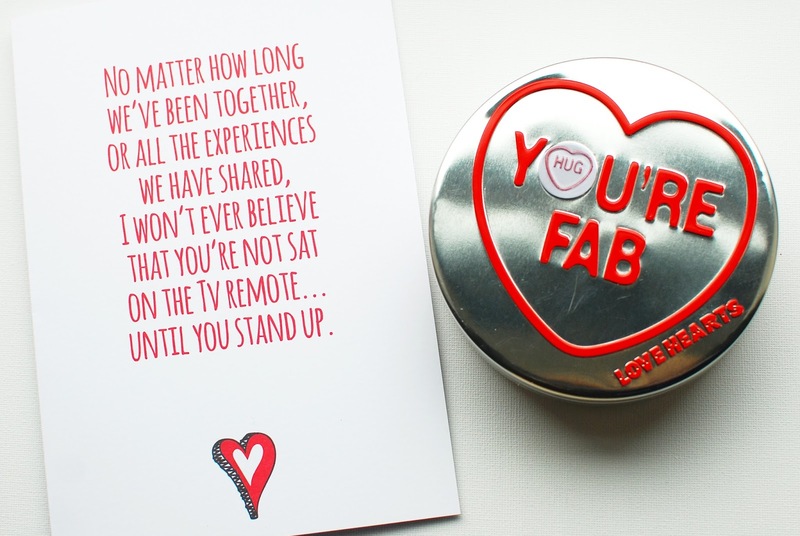 : First Valentine's as a married couple, plus some cute gift ideas. First Valentine's as a married couple, plus some cute gift ideas. Aww, this was our first Valentine's Day as a married couple. And aww, this was the Valentine's Day that I was pregnant and all I was good for was lounging around feeling sorry for myself. And awwww, this was the day that The Walking Dead came back from the Christmas break. 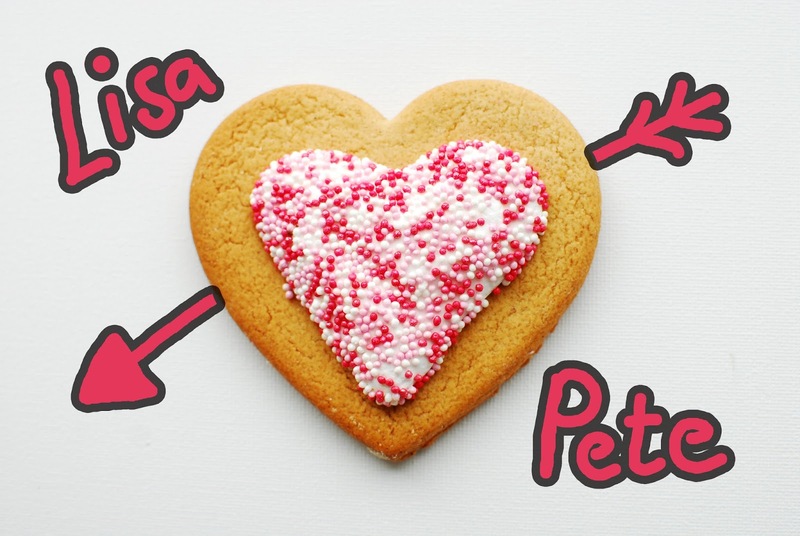 Now, it's up to you to decide on which was really the most exciting thing for me about Valentine's Day 2017 but another thing that made it even more special was that this year, I actually managed to get Pete a card. It's a pretty sad state of affairs that I can't even remember the last time I got the chance to buy him a card or really even acknowledge the day. I'm usually so busy making sure I get all my customer's V-Day orders out in time that everything else goes by the wayside. This year however, being pregnant and (I don't like to use the word) miserable, I cut back a LOT and made sure I had some proper chill time. So go check out Love Layla. You won't be disappointed. I got the Love Hearts at the PO. 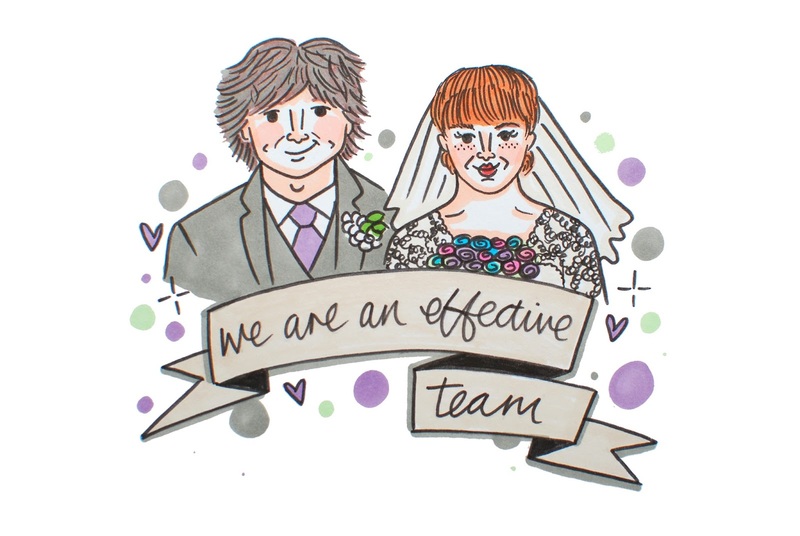 If you've been reading my blog for a while then you'll know the phrase 'we are an effective team' is peppered about in one way or another and I just love it. I first heard it in that Tom Cruise film, Oblivion, which I loved, but a lot of people slammed (turds). So yeah, a lovely lady appeared on my Instagram feed, I don't know how or when but she was there lol, I find this a lot. Her name is Kelly and she runs the fantastic KellDoodles so go and check her out now! Kelly has an amazing talent for illustration and has various prints in her store plus many different custom portrait options too. I couldn't resist ordering as soon as I saw that she offered this service and yes, naturally, the tagline had to be that! My husband was absolutely made up with our portrait and yes, of course I cried with joy when I was opening the package. 100% satisfaction from us. As I mentioned earlier I was having a few woe is me weeks, pregnancy-wise (I'll have to write a whole other post on that) so I also treated myself to this 'Positive Pants' pin badge and I absolutely adore it, also from Kelly. See, what a talent! So yeah, that was Valentine's 2017 and I'm soooo happy that this year not only did I get to give my husband the gifts he deserves, but I also got to help some fellow small businesses too.